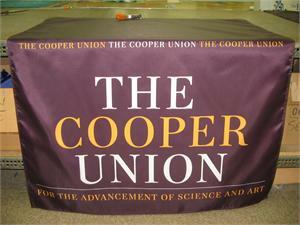 These pictures were taken of actual banners produced for various schools, organizations, companies, and groups to use for promotional and identification displays at various exhibitions, trade shows, conferences, and meetings. 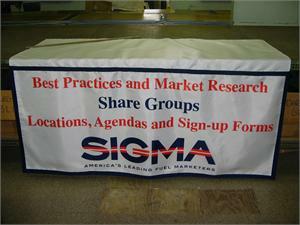 They represent an affordable, colorful, and effective marketing and identification tool. 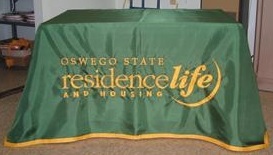 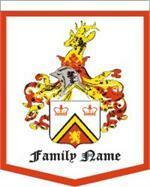 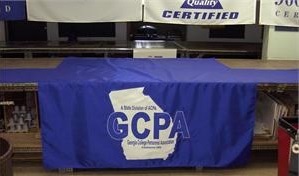 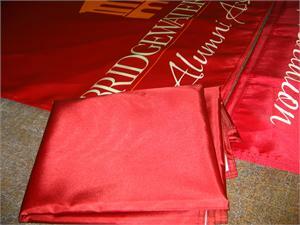 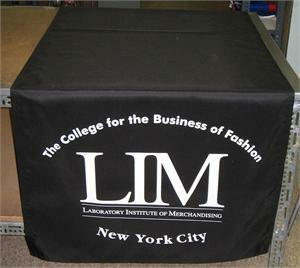 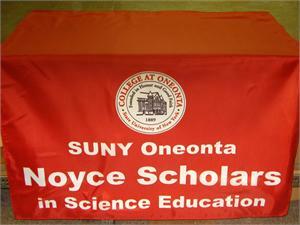 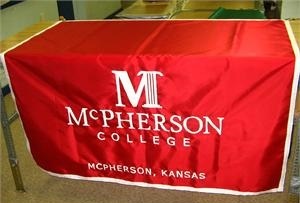 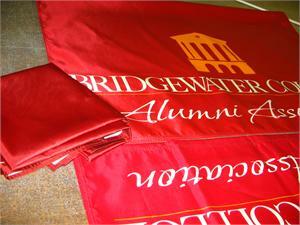 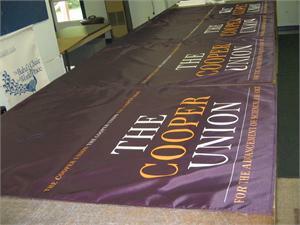 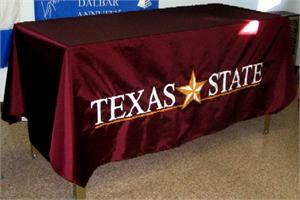 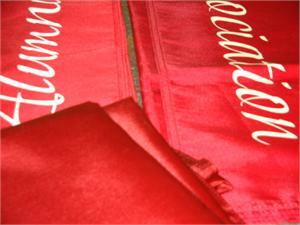 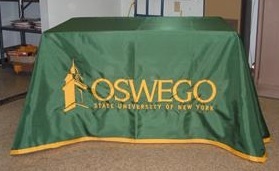 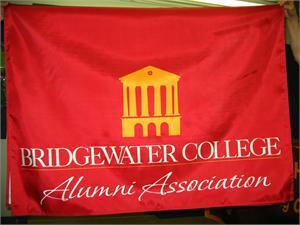 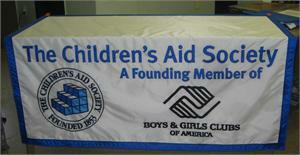 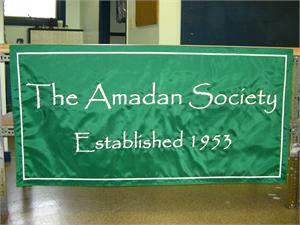 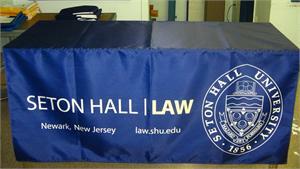 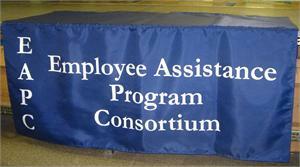 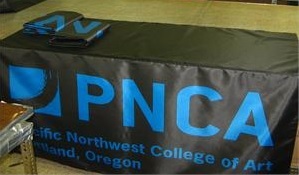 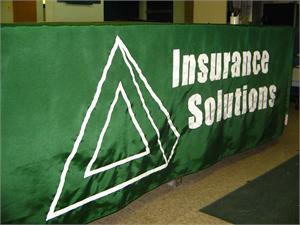 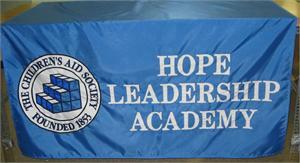 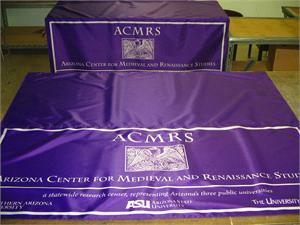 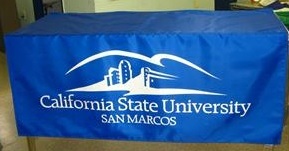 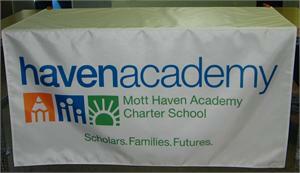 Banners can be made for tables and displays using the dye-sublimation print method or the sewn and appliqued method. 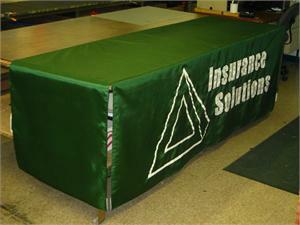 They can be made to fit the top and front section of the table display only, or as a vertical table runner, or to fit around the face and sides as a table skirt.